As I was working on my card for Freshly Made Sketches, I couldn't help but think how it would look all dirtied up. :) I decided to make another one with some distressing and sponging. I ended up not liking it nearly as much as the other one, but I think I might go back and add a few more hearts to the panel and see if that will help. These cards were the first ones I had used my new Netting background on and I really liked it. Do you have that one yet? It add a fun bit of interest to your background which is nice. 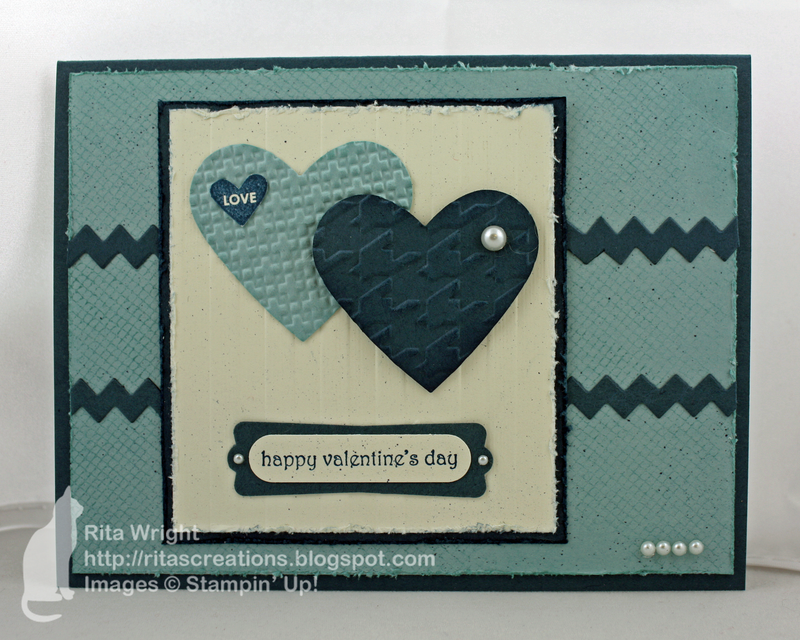 Love this blue Valentine! Great card! Rita, love the blue twist on a fun Valentine!